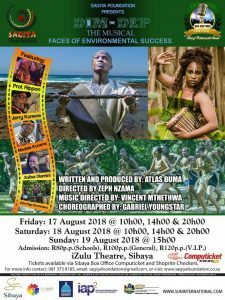 Dim-Dep The Musical will be performed live in Izulu theatre on the following dates 17,18 and 19. It is an inspirational theatre piece filled with energy. We take you from Stone Age Era to the 21st century. We keep the stage warm enough to get you on your feet while bringing edutainment. We featured the music legends such as The legendary Madala Kunene (indigenous African folk songs, Isitolotolo, guitar and vox), Prof Anthony Rippon (classical guitar and vox), Jerry Kunene (saxophone and vox) and Xolisa Dlamini (portraying characters of Victoria Spivey and Bessie Smith). Thanks for showing interest in our productions and services.